This will enable the sports car brand to combine the advantages of the traditional principle of continuous production with the flexibility of versatile assembly. It will also allow the number of work cycles to be increased using the same amount of space. 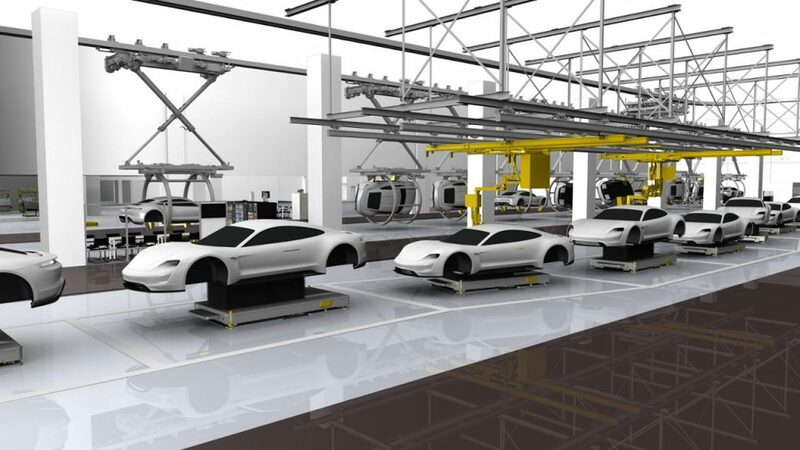 Following the concept of “smart, lean, green”, Porsche is also pursuing resource-friendly production. The Taycan production process is carbon neutral, with the future goal in production being to establish a complete zero-impact factory, a factory with no environmental impact. The introduction of the Taycan is generating 1,200 new jobs in Zuffenhausen. “The Taycan is one of biggest creators of jobs in the history of Porsche,” emphasises Andreas Haffner, Member of the Executive Board responsible for HR and Social Affairs. Not all of these new employees will be producing the Taycan; they will also build two-door sports cars. Porsche’s aim for the Taycan is to create a team with a healthy mix of experienced sports car manufacturers and new staff. This development will also see a large-scale training initiative take place in a specially created production hall built on the training centre premises in Zuffenhausen. 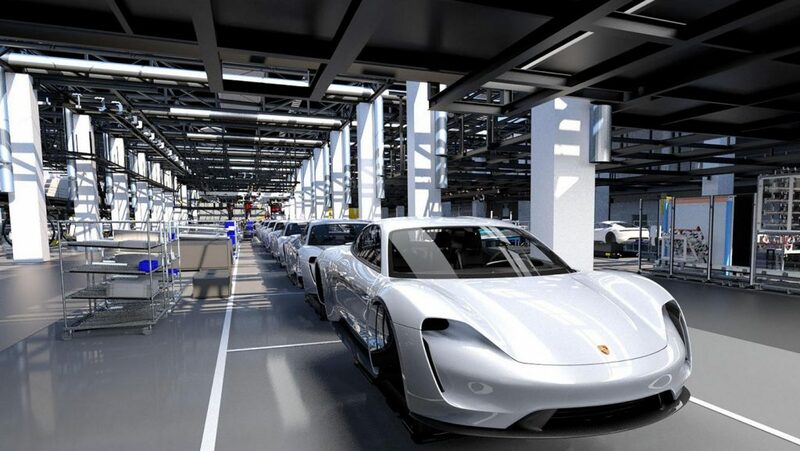 A digital learning platform, which contains over 1,400 training units on issues related to digital transformation and allows users to study independently and according to their needs, will also be available for the entire workforce as they join Porsche on its journey into the electric and digital era. The close working relationship between motorsport and series production highlights just how important it is to share knowledge. Like the Porsche 919 Hybrid, which has multiple Le Mans victories under its belt, the Taycan is powered by innovative 800 V technology. This was one of the most essential decisions for the 919, as the voltage level effectively sets the course for the entire electric drivetrain: from the battery to the layout of the electronics and the e-machines to the capacity of the charging process. In adopting a pioneering approach and specifically developing suitable 800 V components, Porsche pushed the limits of what is technically feasible – including with regard to the liquid-cooled lithium-ion battery. Amid the intensely competitive environment of motorsport, Porsche has continued to develop its technologies. The brand has now achieved a power density the likes of which have never been seen before. For the Taycan this means the 800 V architecture in the vehicle guarantees that the lithium-ion battery can be recharged in just four minutes, providing enough energy to drive 100 kilometres (according to NEDC). This transfer of knowledge will reach a whole new level when Porsche enters Formula E in the 2019/2020 season. Quick charging processes call for powerful charging systems. That is why Porsche E-Performance covers all areas of infrastructure with solutions for on the go and at home. With a capacity of up to 22kW, Porsche Mobile Charger Connect is a quick, convenient way to charge the Taycan at home overnight. It can also be charged using inductive technology. As part of the joint venture Ionity – which also involves BMW, Daimler and Ford – Porsche will build 400 high-power charging stations with a capacity of 350kW per charging point across Europe by the end of 2019. In the USA, the VW Group initiative Electrify America will see the installation of charging infrastructure (capacity of up to 350kW) at 300 motorway stations from 2019. 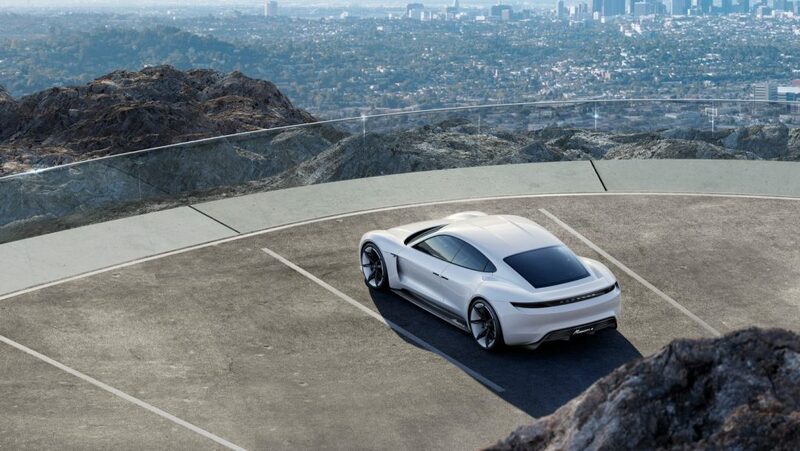 Porsche is also planning to install more than 2000 AC charging points at destinations such as hotels in up to 20 markets in the run-up to the Taycan’s launch. Customers will be able to gain access to the Porsche charging network via the Porsche charging service. This is a Europe-wide solution with access to a huge array of charging stations managed by different service providers. Porsche will take care of all billing centrally.